‘‘Trance Dance is a unique blend of body movement, healing sounds, dynamic percussive rhythms, transformational breathing techniques and the innovative use of a blindfold or bandana - together stimulating a 'trance' state that promotes spiritual awakenings, mental clarity, physical stamina and emotional well-being. What is a Trance Dance session like? Sessions are about 2-3 hours. There will be a short explanation of the dance and all the practicalities in the beginning. Then the dancing will begin. Trained facilitators keep a close eye on the dancers at all times and make sure to keep everyone safe. Each individual’s experience is unique. The session ends with a short period of stillness to integrate the experience. I usually end my sessions by afterwards gathering the group in a circle for optional sharing and ‘to get back into the here and now’ before leaving. It is recommended that you wear comfortable clothing that does not restrict movement. Dancers are encouraged to bring their own blindfold or bandana. Your Trance Dance is a very unique and personal experience and it will be different every time you dance. There is no judgment, no right or wrong way to Trance Dance. If you can breathe and move, you can Trance Dance. It is your unique expression, your individual journey. Covering the eyes with a blindfold while dancing allows the participants to release the distractions of the outside world and to turn their attention inwards. Being blindfolded also creates privacy within the group and eliminates the worry that some people have of being ‘watched’ while they dance. It also blocks out any visual distraction for you as the dancer and facilitates a deeper experience of going within and a sense of freedom of your own experience. Trance Dance is a powerful way to experience a solo journey into your inner world and can be arranged as an individual experience at your own convenience or be facilitated for a group. Please contact me at tania@rainbow-alchemy.com to book your session or if you would like any further information. 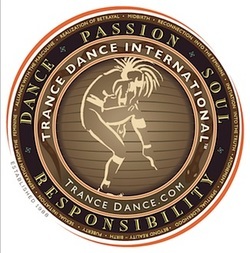 To check for upcoming Trance Dance events please go to my Events page. and I am very honored to share this powerful work with you!